Former Formula One driver, Indy 500 winner and CART champion. 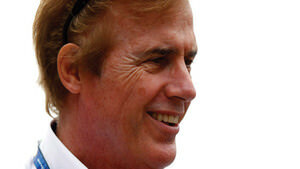 American driver Danny Sullivan began his motorsports career in Formula Ford and Formula Three, before returning to the US. He participated in the IndyCar series and was spotted by Formula One team Tyrrell, to gain his debut in the sport. He raced for one season only, in 1983, and his F1 career highlight was a fifth place at the tricky Monaco race. After Formula One, Sullivan went back to IndyCar, winning the Indy 500 in spectacular fashion. He moved away from single seaters in 1995, turning his attention to sportscar racing, most notably the Le Mans 24 Hours event.